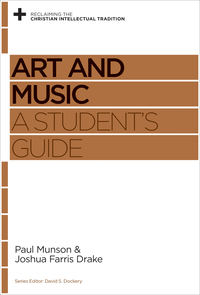 Paul Munson (PhD, University of Michigan) teaches music history, music appreciation, and art appreciation at Grove City College. His 1998 edition of Franz Liszt’s Oratorio St. Stanislaus made available for the first time that composer’s last major work and was recorded by the Cincinnati May Festival on the Telarc label in 2003. Munson is a ruling elder of Rocky Springs Church (PCA) in Harrisville, Pennsylvania. He and his wife, Elisabeth, have five children, whose favorite hymns are “My Shepherd Will Supply My Need” (Anna), “How Firm a Foundation” (Evelyn), “There Is a Green Hill Far Away” (Daniel), “We Sing the Glorious Conquest” (Edward), and “Up from the Grave He Arose” (Ray). Paul Munson can be contacted at pamunson@gcc.edu. 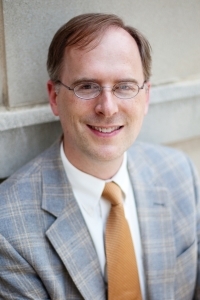 Joshua Drake is Professor of Music and Humanities at Grove City College. After taking a degree in Sacred Music from Union University in 2001, where he studied church music with Andy Roby, Ronald Boud, and Michael Penny, he read for a Masters (2003) and Ph.D. (2006) in historic musicology at the University of Glasgow (UK) under Warwick Edwards. His topic of research for both degrees was the music of the church just before the Reformation, particularly the ways by which words and music related in motets of the late 15th century. He is a deacon of Rocky Springs PCA in Harrisville, PA. He and his wife Vicki have four children: John, George, Leonidas, and Isobel. Joshua Drake's email is jfdrake@gcc.edu. 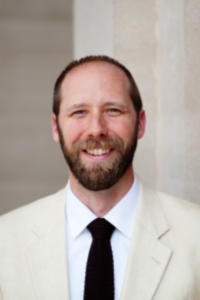 Munson and Drake have also written a brief introduction to looking at art and listening to music as part of Crossway’s Reclaiming the Christian Intellectual Tradition series.